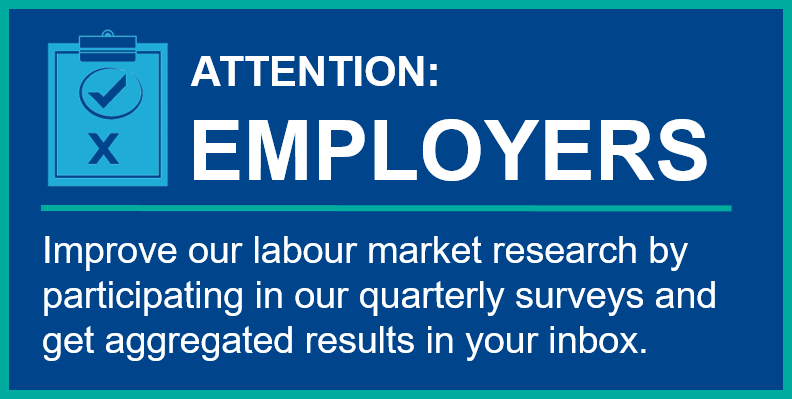 Workforce WindsorEssex asks employers to complete surveys each quarter to help improve the access to and quality of the region’s labour market information. We look at the local demand side of our workforce through surveying local employers to understand in-demand occupations, hard-to-fill positions, and skills to fill these jobs. Following the conclusion of each survey, a bulletin with the findings is released to the public and is available on the Workforce WindsorEssex website. All data collected through the surveys remains confidential and is only be reported on in the aggregate. TAKE THE EMPLOYER QUARTERLY SURVEY NOW!